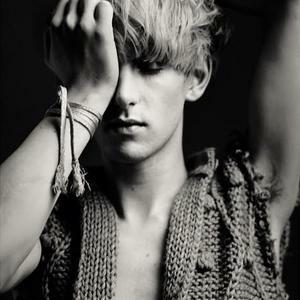 Patrick Wolf is an English singer-songwriter from London. Wolf mixes electronics and samples with a wide range of instruments including viola, keyboards, ukulele, and percussion, all of which he plays himself to form a fusion of jazz, folk and electronic music. He began experimenting with sound and four-track recording at the age of 11, eventually building an arsenal of instruments that included junk-shop organs and a home-built theremin. He began experimenting with sound and four-track recording at the age of 11, eventually building an arsenal of instruments that included junk-shop organs and a home-built theremin. At the age of 14 he joined the pop-art collective Minty, a venture that caught the eyes and ears of Fat Cat Records, which went on to supply the youth with a computer and mixing tools for aid in his newfound audio experimentation. He left home at the age of 16 and formed Maison Crimineaux with his friend Fanny, which eventually found its way to France where the noisy duo played a show attended by electronic maestro Kristian Robinson (aka Capitol K), who went on to release Wolf's lauded 2003 debut. With Lycanthropy reaching number 39 in the NME's top LPs of the year, as well as receiving critical acclaim throughout Europe and America, Wolf decided to study composition at the Trinity College Music Conservatoire. Wolf's fifth album, Lupercalia, is due to be released on 20 June 2011 by Hideout, a subsidiary of Mercury Records. Songfacts explains that the album title refers to the Lupercalia festival, which is was an ancient fertility and love festival that the ancient Romans celebrated between February 13-15, and was the predecessor to Valentine's Day.